If you shop in Debenhams you may have been asked to get a Debenhams Mastercard. Before you get one, it is vital to know what it can do for you and if it is the right choice for you. Understanding the benefits and repayments of the Debenhams MasterCard is vital before you start spending, as not keeping up with payments can increase the charge each month. What Is the Debenhams MasterCard? The Debenhams MasterCard is a credit card that gives you more. You can spend your MasterCard in Debenhams, where you will get more points, as well as anywhere which accepts MasterCard. If you are unsure, they will usually have the MasterCard logo on their cashiers or you can check online for which retailers accept MasterCard. 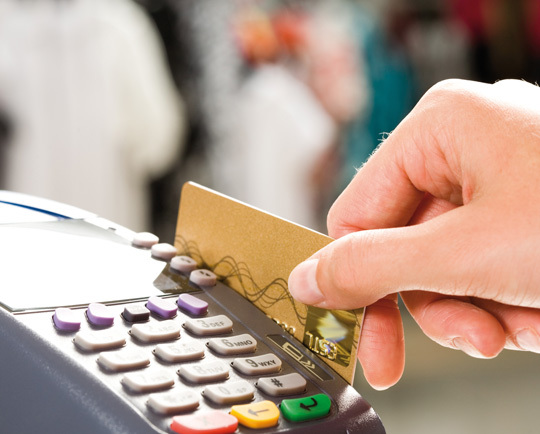 Every time you spend on your card, you will earn points which can be converted into many great benefits. If you shop in Debenhams often, or even work in a branch, it could be worth your while applying for a MasterCard. Jobs at Debenhams are varied and you can do everything from customer service, to working in the restaurant to management. The company also has plenty of graduate jobs for those with the appropriate qualifications. Each time you shop, you earn points. This includes in store or online, at Debenhams or any other retailer that accepts MasterCard. You will earn 3 points for every one pound you spend in Debenhams and one point for every two pounds you spend elsewhere. The more you use your card, the more rewards you can gain. Every three months, the rewards you have earned will be sent to you in the shape of Debenhams reward vouchers, which can be spent in any Debenhams store. You get many other benefits such as free delivery, cheaper food at Debenhams cafes and cheaper cash exchange when changing money in any Debenhams cash bureau. There are many things to consider before getting a credit card. If you shop in Debenhams a lot, instead of paying for things straight away, it could be beneficial getting a Debenhams MasterCard as you will gain rewards for spending at Debenhams and other stores, making your spending more worthwhile. It can also increase your credit rating spending on the MasterCard and then paying it back each month rather than paying for the transaction straight off. If you know that you will pay it back each month, a Debenhams MasterCard is totally worth it. If you know that you may get carried away, it may not be worth the risk of spending more than you can pay back. Only you can decide for sure if it is worth it for you, but if you can use it safely, the rewards are great for any Debenhams shopper. The Debenhams MasterCard could save you money in the long term as you get vouchers back for the spending you would have done regardless, as well as improving your credit score. You should always be careful with any credit card and ensure you make the payments on time, so perhaps have a savings account in which you save what you need to pay back each month to make the payments. Thanks for this informative piece. My mother has a Debenhams mastercard and has used it very carefully and she gets a lot of benefits with it. That being said she has had to spend quite a bit more this time and this has caused me to look into the card to understand the risks involved if she is unable to pay it all back in time. It was my understanding that with the card she is allowed to pay back whatever amount she can afford to each month and not suffer steep interests provided she pays on or before the due date. I intend to go into a branch to find out if this is correct. Just double check it, but I believe it is correct yes.